Made to resemble a screen door, this jewelry product is perfect for keeping all your necklaces from tangling, your earrings together, and your bracelets from getting disfigured. The organizer features black paint with a shelf for sitting various items. 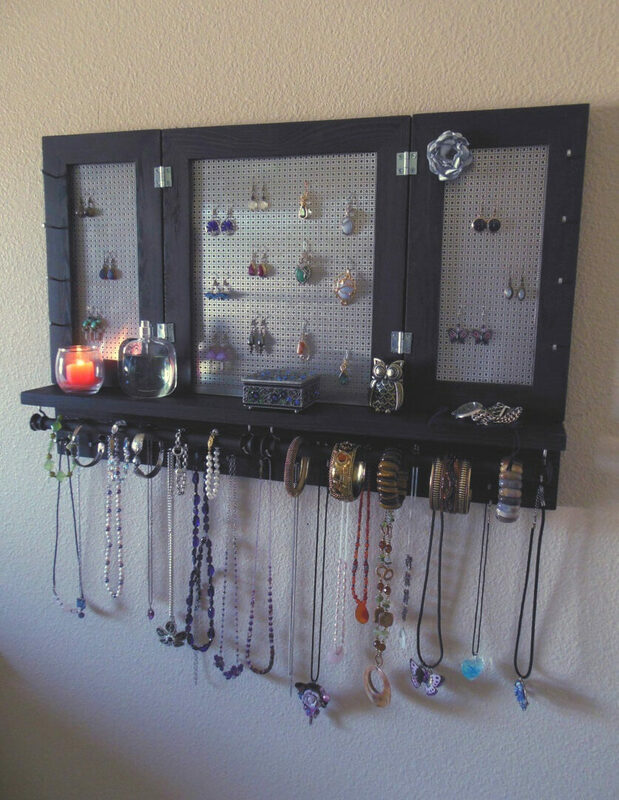 The bottom features a hanging rod for all your bracelets and necklaces, and the top features a screen where you can hang your dangling earrings together all in one place. This product mounts to the wall for best results.